I love the beach! I love the sand, the sun, the sounds of the ocean. Unfortunately it's too few and far between I actually get to go there! Our Crafty Critter blog group help and Virtual Stamp Day this weekend, and part of that included several challenges, the first of which included creating a card from an inspiration picture. Some inspiration, huh? The other part of the recipe included using only one embellishment, using a crimper somewhere and using no coloring - inks only. So this is what I came up with! 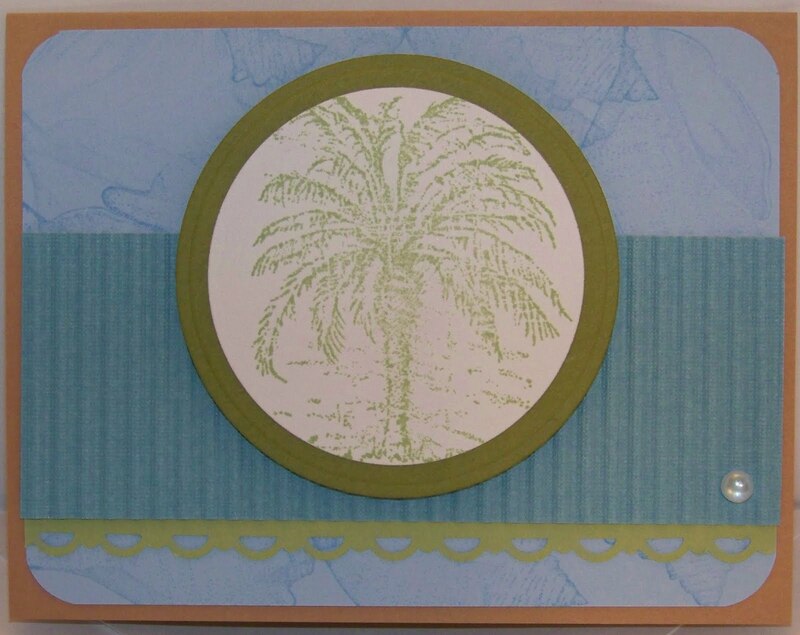 Supplies are SU cardstock in Creamy Caramel, Old Olive, Certainly Celery, Bashful Blue and DCWV blue cardstock. Inks are SU Bashful Blue and Certainly Celery. Stamps are SU also - Balmy Breezes and Stipple Shells. I also used a paper crimper, scalloped border punch (SU), corner punch and a Dew Drop. Pretty card...and you're right - that is some inspiration! OOh, love the palm tree - now that's relaxing! This is such a pretty card Colleen! I love that stamp. Hugs! ohh......I really to be on a beach soakin' up the sun. Thanks for the pick-me-up on a Monday morning. Oh my! Colleen this is gorgeous :) Great use of your crimper and that image is beautiful! 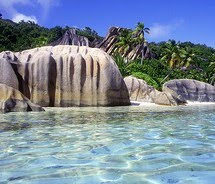 Very very pretty...it takes me away...sitting on the beach!! Oh this is soooo nice. This is so classy... clean and simple... love it.